Lorraine Edna Lowery was born in Napa, CA on October 7,1930 to Harry S. Lowery and Ethel Williams Lowery. They lived on a farm in Napa’s Browns Valley tending a prune orchard when it was a very rural area, until Lorraine was 10 years old. At that time the family moved into town. Her early education, thru the eighth grade, was at St. John’s Elementary School. 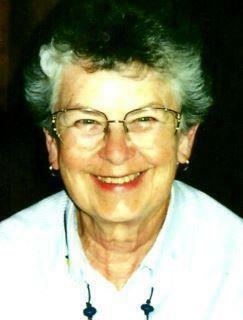 Following she attended Napa High School graduating with the class of 1948, and while at Napa High she made many life-long friends. Twelve girls who formed a group while there, calling themselves the GABS, have met regularly over the years for lunch. In later years they had an annual springtime outing for a few days at Bodega Bay. Following High School Lorraine worked as a secretary for the Basalt Rock Co. in Napa. It was then that she met Harold Halterman whom she married on September 18th,1949, in the First Presbyterian Church. Except for a brief two years living in Vallejo, early-on, they lived in Napa, where they raised their family. Lorraine is the mother of H.Lee Halterman, of Fredericksburg, VA, Lynette Bak of Walnut Creek, Laurel Ingram, and Don Halterman of Napa. Lorraine was the devoted grandmother of Eleven Grand children, and cherished the fact that she was a great-grandmother of nine. In retirement Lorraine and Hal took-up RV-ing for ten years making many trips with friends; also they enjoyed several trips overseas. She was an excellent gardener, and their family homes always reflected that. Lorraine was a caring, and giving person whom her husband Hal described as the key to a very successful and loving family structure. Her mother, father, and two older sisters, Modayne Frattini, and US Air Force Lt. Colonel Beverly Lowery, RN, predeceased her.